Following a typically Turkish design and crafted from high quality mahogany Pacha’s luxurious interior ensures sumptuous accommodation for eight guests. She has one master cabin, two double cabins and one twin cabin. The exterior deck has two spacious sun bathing areas and a large dining area. She comes fully equipped with kayak, paddle board, wake board and many other water toys. 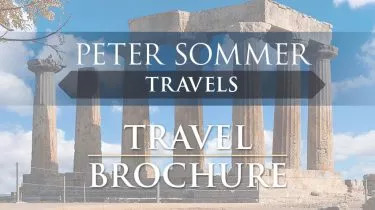 Pacha is available for Peter Sommer Travels’ expert-guided private charters on various itineraries in Croatian waters. Find out more about our Gulet Cruises in Croatia. Peter Sommer Travels organized and led us on an excellent trip. Everything went smoothly. Their knowledge of the boats, the crew, the ports, the restaurants, and the land transports was top-notch. The guide who was with us throughout was especially expert. We were privileged to have archaeologist Helena Tomas share her knowledge of the sites we visited and with the passion that she has for her profession.